What does forgiveness look like? 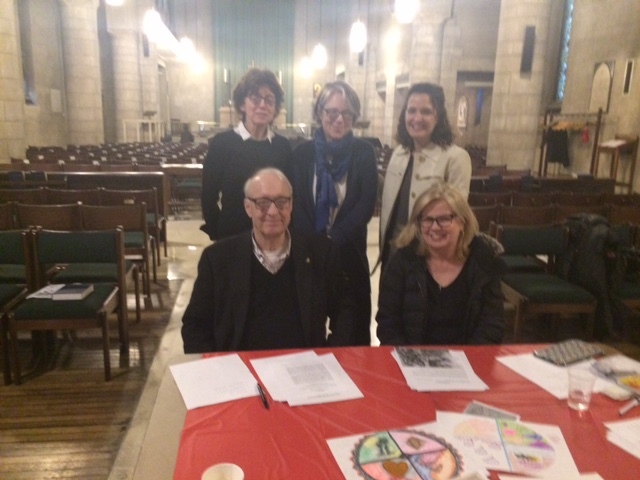 Members of the group include Pam Byrd, Marion Williams, Sarah Vanderbrouk, Robert Shields, and Deborah Wilburn.Not pictured are Caroline angel, Maria Cabrera, Carol Ziwicki and Carron Donohue. 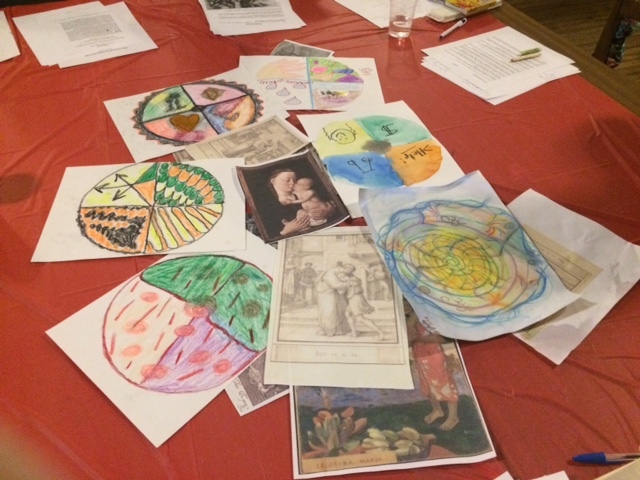 During three sessions in March, the Spiritual Direction Art Group at Epiphany questioned, discussed, reflected and created art on the layered theme and complex qualities (and actions) of forgiveness. Spending time in reading, meditation and art- making, the participants worked on many levels -- personal, theological, and creative. There is no art experience necessary to join in this group. Always hospitable, genuine and lively, the Group takes its own unique lead into creative dialogue and fellowship. Working out some of the practical elements of how religion and spirituality intersect in daily life, the members of the group find their own answers to complex spiritual questions through sharing and at their own pace. A session in the Garden this summer is planned – stay tuned for details! All are welcome! The Group is led by Marion Williams, MA and Pastoral Counselor. Marion attended General Seminary and Fordham University. Her ministry at Epiphany has been to facilitate Sanctuary and spiritual direction through the arts. Members of the group include Pam Byrd, Marion Williams, Sarah Vanderbrouk, Robert Shields, and Deborah Wilburn. Not pictured are Caroline angel, Maria Cabrera, Carol Ziwicki and Carron Donohue.